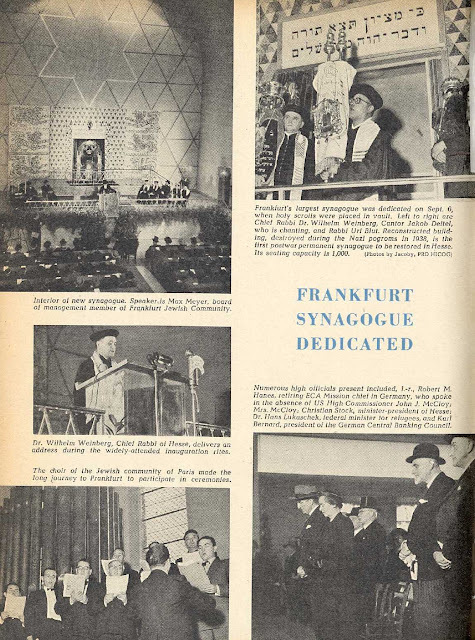 My father, Rabbi Dr. Wilhelm Weinberg, then Chief Rabbi of the German Stae of Hesse, officiated at the re-dedication of the restored Westend Synagogue on Freiherr von Stein Strasse in Frankfurt in 1950. 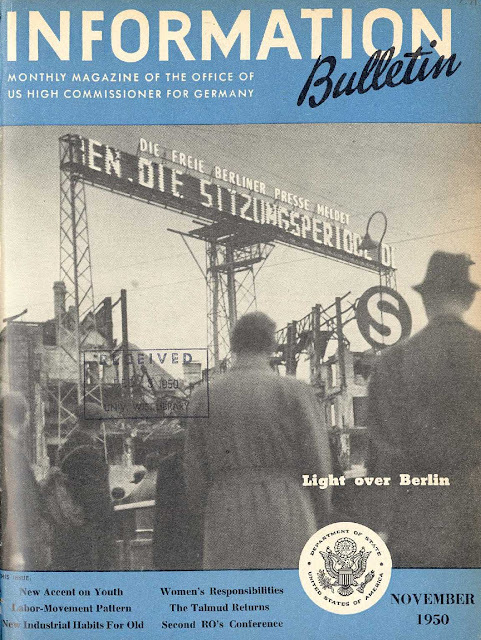 This article was published by the office of the United States High Commissioner for Germany, John J. McCloy, with whom my father worked hand in hand to safeguard the reborn Jewish community from die-hard Nazis after the Holocaust. Thank you to Dr. Vladimir Melamed, Director of Archives,of the Los Angeles Museum of the Holocaust, who found this bulletin in its archival collection and shared it with me.